Create training and support videos or powerful demonstrations. Enhance recordings with step-by-step audio instructions and graphic speech bubbles. Easily correct audio and video or add new material to existing recordings. Export recordings to AVI, WMV, Animated GIF, and Flash. Perfect your video and audio recording by pausing at anytime and re-recording from any point in the file. Record speech at the same time as capturing video, or record it after. This allows you to record the speech portion while watching the video, making sure your sound is perfect. Create multiple recordings and export them as one continuous video file. 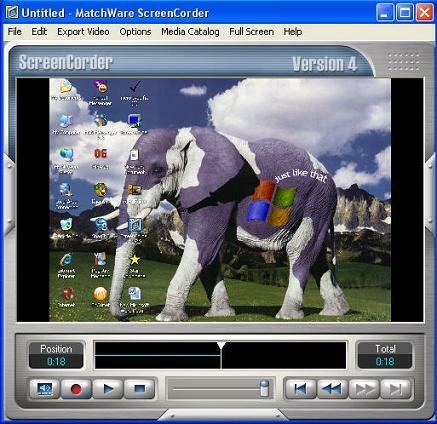 Includes a Web Builder program, allowing you to create a Web presentation environment for single or multiple videos. Use the professional Web templates and customized title page to display videos online. The built-in FTP Upload Manager transfers your video presentation to the Web quickly and effortlessly.